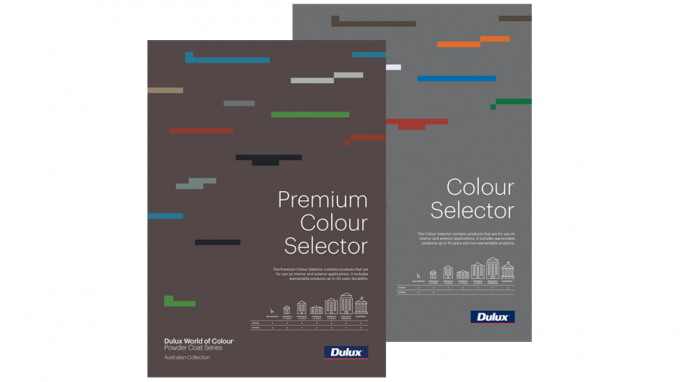 Dulux has unveiled its new Dulux World of Colour® Powder Coat Series Colour Selectors and Swatches. The two new colour cards and powder coat swatches showcase the 13 Dulux Powder Coating collections that are available, with the the differences between each collection clearly highlighted to enable you to successfully identify and select the products best suited to your project and environmental needs. These new colour selectors are available to download here, with physical copies available at our offices. For more information visit the Dulux website.